On this episode of V8 Radio, Kevin Oeste and Mike Clarke chat about the construction going on at the V8 Speed & Resto Shop in Red Bud, IL. They also cover a 2017 SEMA show preview, where the V8 team will be showing the RELOADED 1968 Camaro in the Rocket Racing booth wearing their new Rocket Attack wheels. Then there's a preview of the upcoming Muscle Car and Corvette Nationals, automotive trivia, and much more! Listen here or on iTunes, Google Play, or on the tunein radio, and Stitcher app! V8 Radio: Behind The Scenes With Muscle Car Of The Week and More! 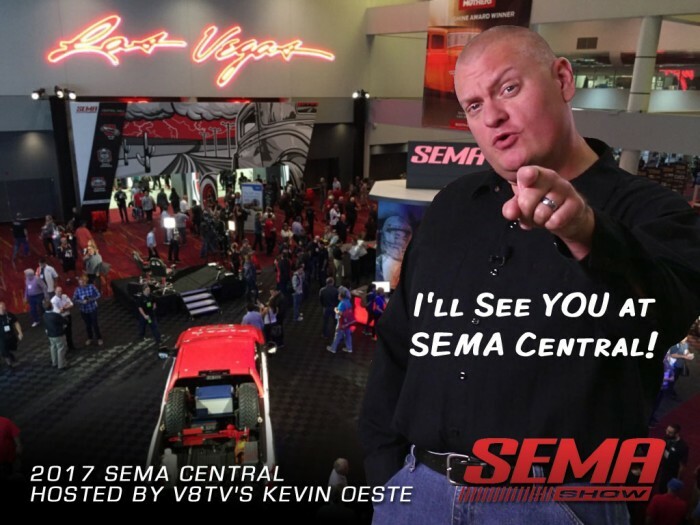 V8 Radio: Muscle Car and Corvette Nationals Recap, PRI Preview, Trivia, and More! V8 Radio: Careers Of Passion for Future Technicians and More! V8 Radio: Cars On The Moon, V8 Speed And Resto Shop Updates, Trivia, and MORE! V8 Radio: Paying Attention To Details, Listener Shout-Outs, V8 Speed & Resto Projects, Trivia, and More! V8 Radio: Valuing The Experience, Movie Cars, Auction Recaps, Trivia, And More! V8 Radio: Getting Projects Back On Track, Headlight Relays, Muscle Car Of The Week, Trivia, and More! V8 Radio: Live.. Well, Recorded Live, Anyway, From The 2018 PRI Show in Indianapolis! Mike and Kevin share a deep well of knowledge with their listeners when it comes to classic cars. I could see my brother playing along with their trivia questions in my head. (He would love this show!!!) It doesn't hurt that both of these guys have great, broadcast quality voices. Kevin actually sounds a lot like Nick Offerman who plays Ron Swanson on Parks and Recreation. Keep up the excellent work!!! Hi guys, I think you have an excellent program that I often listen to when working in my own shop at night, but might I make a suggestion??? Please level the volumes OR make Mike sit at least a foot away from the mic. Problem is that with normal conversation, all is good and then Mike laughs or makes a pronouncement and ALL HELL BREAKS LOOSE! I know it might be trivial, it becomes a real irritant after a show or two. OK, that’s it, keep up the good work. 1969 Chevelle Scores Big at Muscle Car And Corvette Nationals!